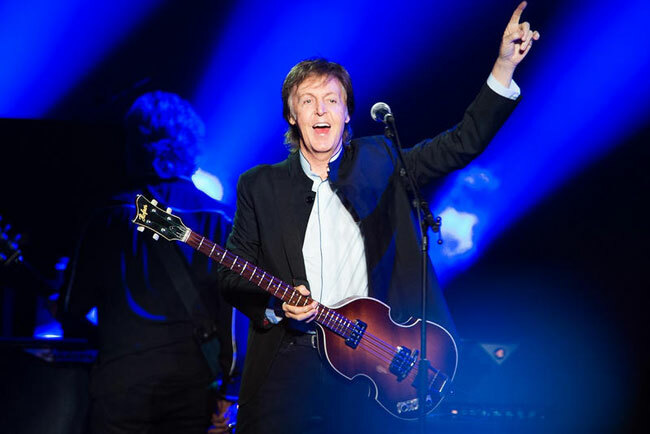 The former Beatle is back on top of the charts after selling the equivalent of 153,000 copies of his 18th solo studio album Egypt Station, since its release on 7 September. The 16-song album, which includes two bonus tracks, topped the Billboard 200 chart, knocking rapper Eminem’s album Kamikaze off the top spot. The all-genre chart ranks the most popular albums of the week. Sir Paul marked his chart-topping success by tweeting a photo of himself with a framed copy of the album and thanked fans for their support. Fans from across the world responded by congratulating the 76-year-old. The last time the singer and songwriter topped the chart was for three consecutive weeks in 1982 with Tug of War. It is the longest gap between number ones for a living artist in the history of the Billboard 200 chart. The Beatles still hold the record for the most chart-topping albums with 19. Sir Paul, who kicks off his Freshen Up world tour on Monday in Canada, has given a series of interviews recently reflecting on his musical career of more than 60 years.